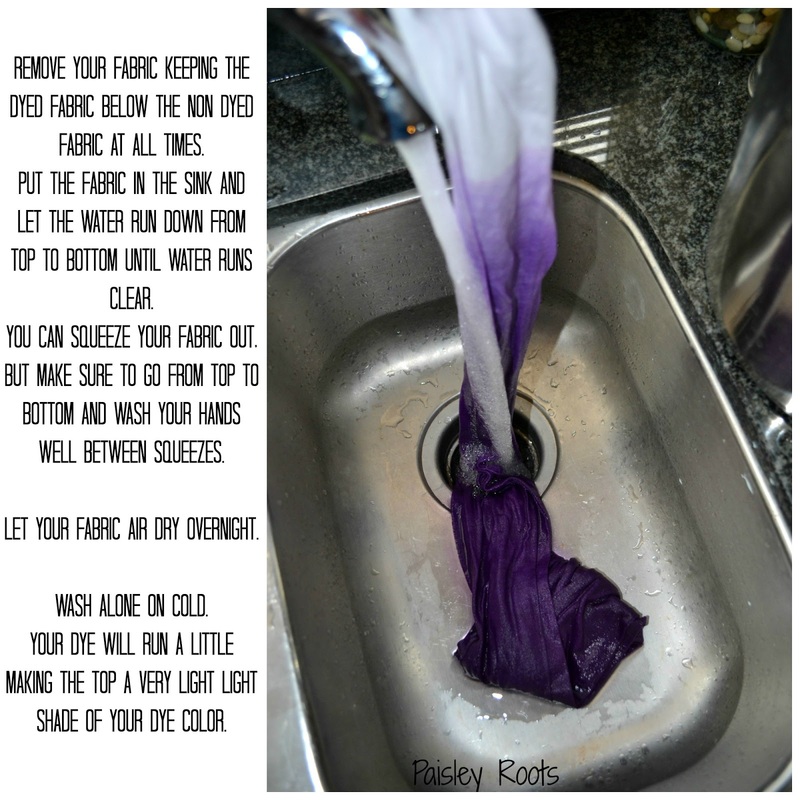 I love to dye fabric. I usually go with RIT, cause it's easily available and I really haven't had bad results with it. I don't follow the instructions though. I add a cup of vinegar and a tablespoon of salt (with the full bottle of dye) along with putting it on a slow simmer for an hour. Constantly stirring. I wash it out and let it dry overnight, then throw it in the wash.
That's how I do a regular dye job. 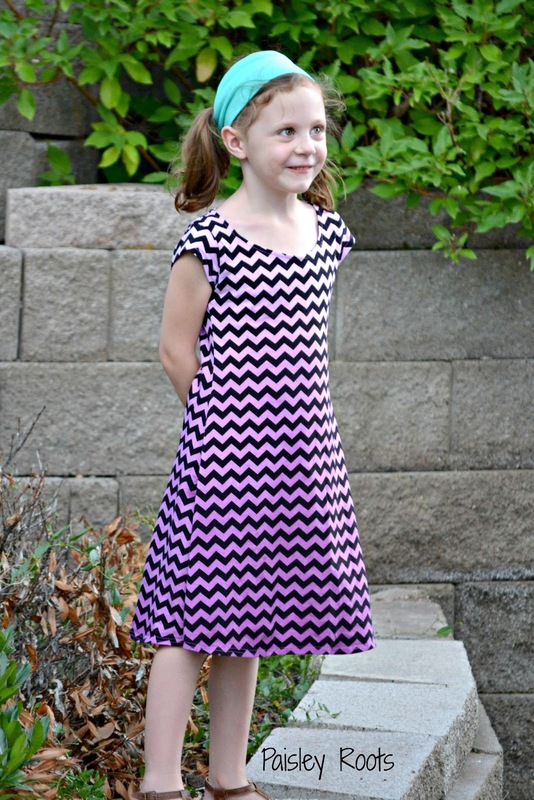 Today I'm sharing the way I make an ombre dip dye. My first try with the ombre effect did not turn out well. I researched online for different techniques and tips, but none worked. My fabric turned out the same color or very splotchy. So after a lot of thinking, I came up with this. And you are done! Now you can either make your item, or enjoy your item! 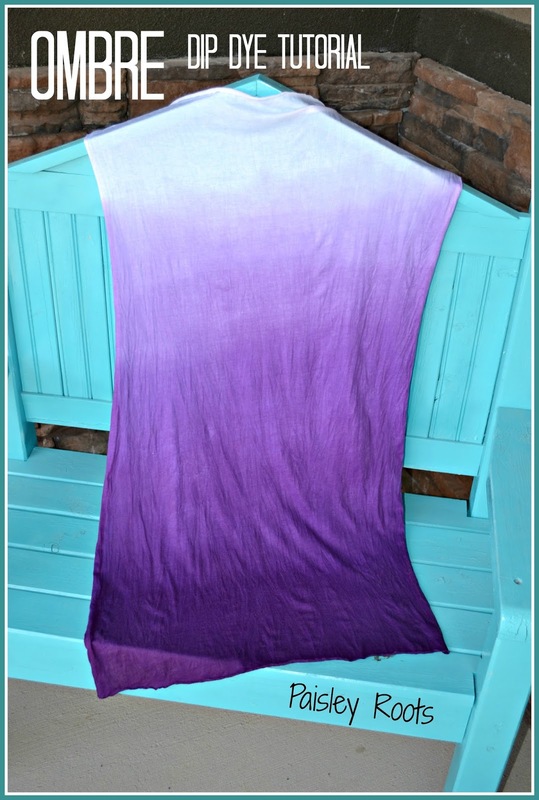 I have been thinking of trying ombre dying a fabric... thanks for the tutorial! Just wondering, it looks like the pot was on your stove, but I didn't see in the instructions anywhere that you heated up the water - did you?